these pictures are the best illustrations of today’s world I have seen to date..a must see! great post! Art expresses ideas in thought-provoking and original ways. It captures our attention in an instant and inspires us to take action. 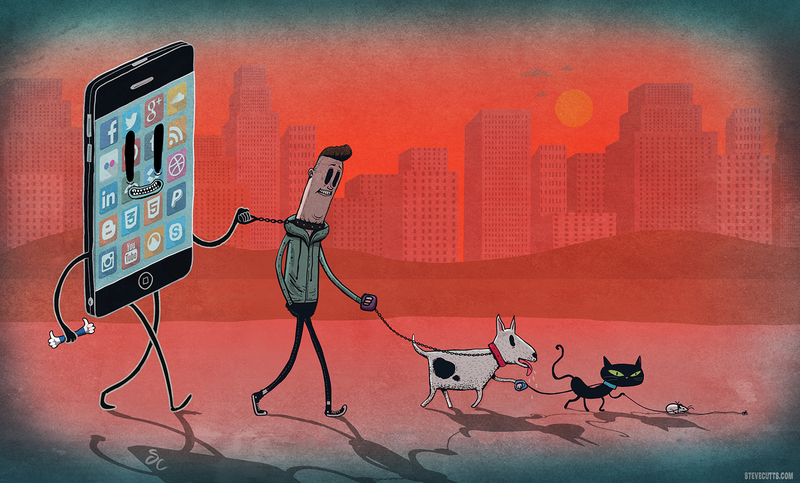 Illustrator and animator, Steve Cutts, is changing the way we think about society through art. His works emphasize the sad truisms of today’s world whether it be corporations turning workers into zombies or millennials addicted to social media. He began his work in London and became the main storyboard concept artist at Glueisobar. His illustrations get straight to the point, and for many of us they hit home. We live in a society built on consumerism, life-sucking mobile apps, and a “whatever it takes” attitude to make money. It’s unhealthy not just for us, but the world, too.